Data-driven marketing that delivers results. Marketing occupies a fascinating position at the intersection of art and science. Modern marketers reconcile these qualities by meticulously measuring the results of their campaign to see how well they connect with their audience. 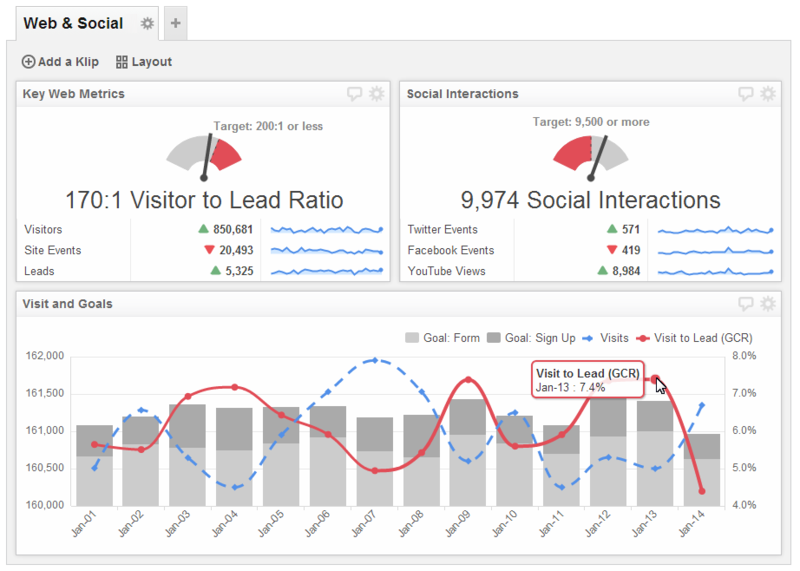 These marketing dashboard examples demonstrate some of the data, metrics, and KPIs marketers use to measure their performance. Marketing Performance – Data-driven marketing starts by understanding the purchase funnel. 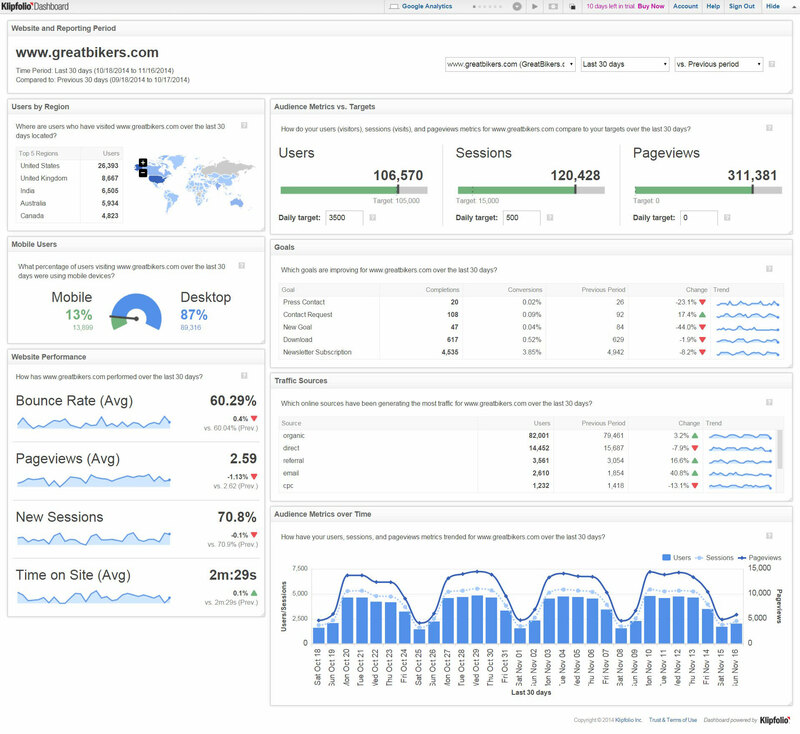 Web Analytics Dashboard – How is your website performing? 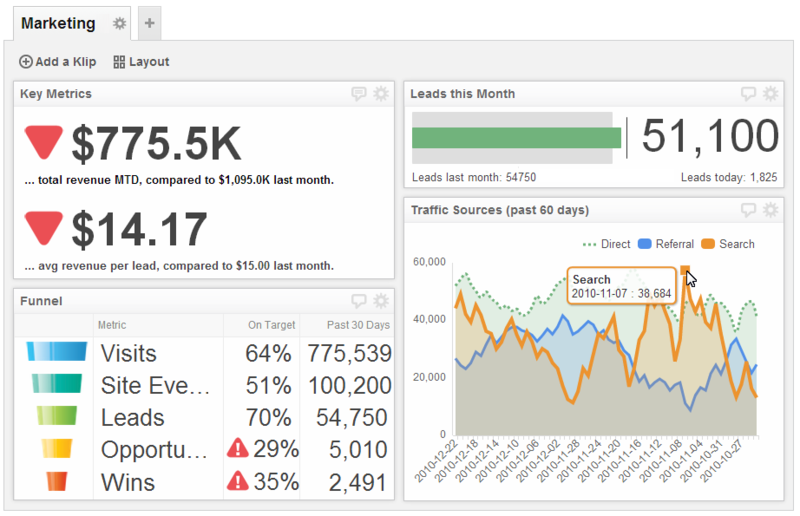 AdWords Campaign Dashboard – Monitor your AdWords campaign to ensure you’re getting the highest ROI. 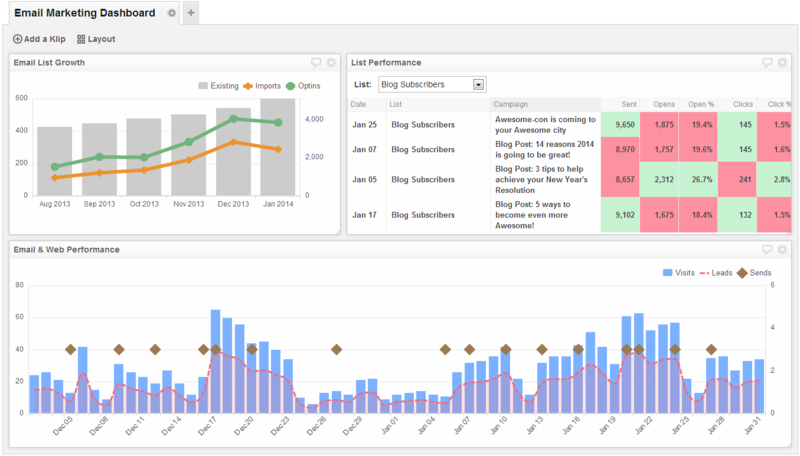 Email Marketing Dashboard – Take a data-driven approach to your email marketing campaigns. 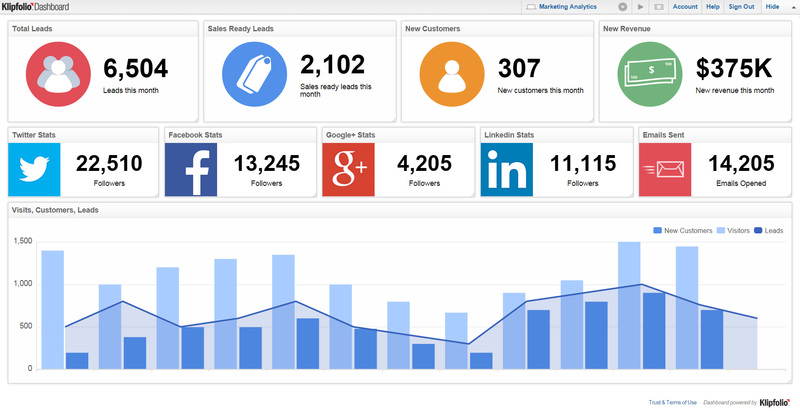 Social Media – Use social media analytics to fuel your marketing efforts. 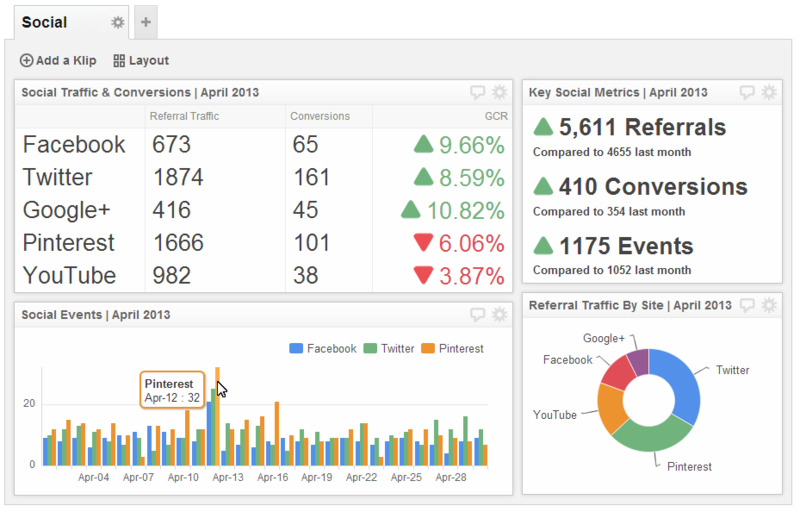 Web and Social Analytics – Understand the correlation between social media and website performance.